Car spotting is definitely our thing, and well respected motoring journalist and automotive expert Giles Chapman has come up with a fantastic book covering the complete history of the automobile. 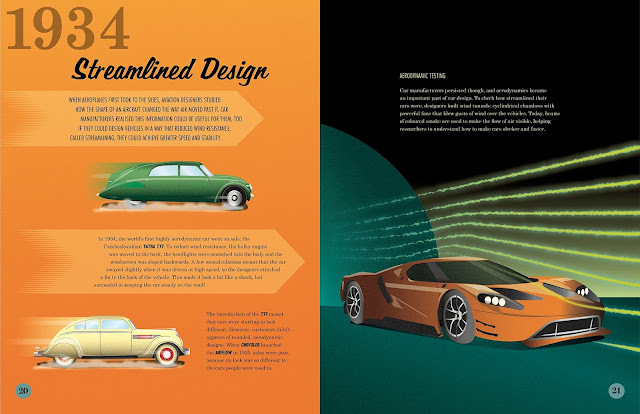 From Cugnot's clattery old steam powered effort of the 18th century, right up to the most modern supercars bristling with technology, the book covers tons of innovations, gorgeous designs and of course the most famous marques and models that still wow us every time new cars are announced. The illustrations, by the Us Now team, are really sleek and wonderful too - you can clearly tell which models you're talking about here, and they also do some brilliant timeline spreads to compliment Giles' text. Streamlining. Some of the most gorgeous cars in history really cut down on the drag factor! As I mentioned at the top of the review, we're a pair of car obsessives so this was a truly awesome book to flick through, nicely presented and perfect for kids who are just getting into cars themselves. We are the robots! 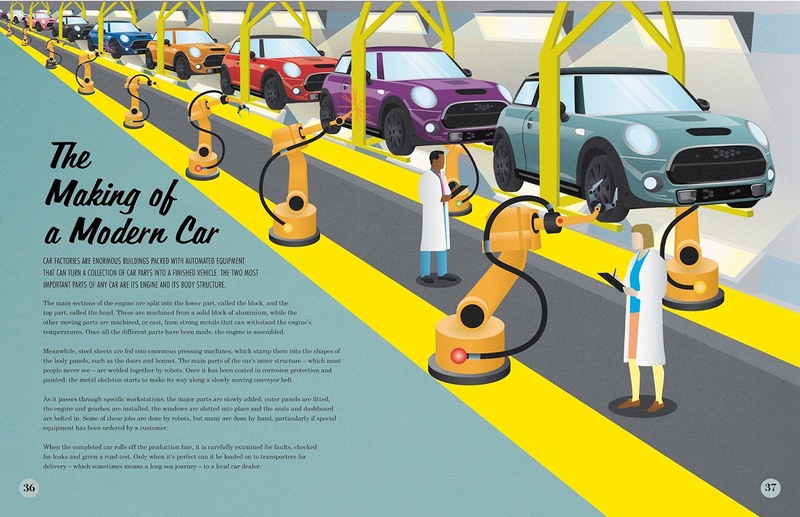 Automated assembly lines help to make cars better (and hopefully cheaper). Charlotte's favourite bit: Learning all about the very first engines and cars. 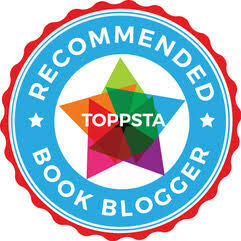 Daddy's favourite bit: Still dreaming about supercars, just like I did when I was Charlotte's age. 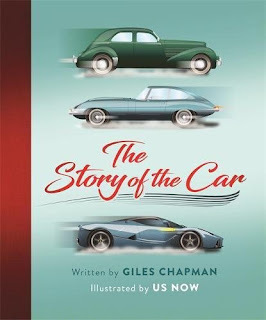 "The Story of the Car" by Giles Chapman with illustrations by Us Now is out today, published by Wren and Rook.